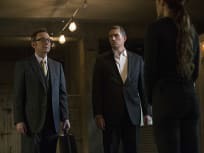 On Person of Interest Season 5 Episode 13, on the series finale the team embarks on one last suicide mission to prevent Samaritan from destroying The Machine. On Person of Interest Season 5 Episode 12, Reese and Shaw chase after Finch when he infiltrates a maximum-security government facility on a desperate mission. On Person of Interest Season 5 Episode 11, when the U.S. president is tapped as the next POI, the entire team becomes involved in the conspiracy. On Person of Interest Season 5 Episode 10, a series of encounters with Samaritan's operatives occur when Finch's number comes up after his cover is blown. On Person of Interest Season 5 Episode 9, Reese and Fusco are trapped in the precinct with the latest POI by the criminal mastermind known as "The Voice." On Person of Interest Season 5 Episode 8, when a hospital becomes ground zero for a deadly viral outbreak, Reese and Finch end up trapped inside. On Person of Interest Season 5 Episode 7, Root goes undercover to protect the radio host of a conspiracy theory show who may be marked for death. On Person of Interest Season 5 Episode 6, Fusco is angry about being shut out by the team while Reese and Finch protect two POIs at their wedding. On Person of Interest Season 5 Episode 5, Reese must protect an NYPD analyst when an investigation into a software glitch draws the attention of Samaritan. 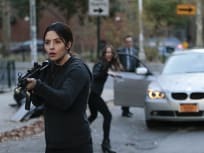 On Person of Interest Season 5 Episode 4, the team is unsure of Shaw's mental state when she begins to act paranoid and reckless after escaping her captors. On Person of Interest Season 5 Episode 3, when the latest POI has ties to his old colleagues in the CIA, Reese realizes that his cover could be blown. On Person of Interest Season 5 Episode 2, The Machine experiences a glitch during rebooting, supplying Reese and Fusco with the numbers of dozens of people not actually involved in crimes. 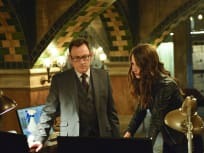 On Person of Interest Season 5 Episode 1, Root fights for her life against Samaritan while Reese and Finch try to save the Machine's source code as it deteriorates. That’s what I like about you, you’ve got a good heart. Go with it, it won’t steer you wrong. Permalink: That’s what I like about you, you’ve got a good heart. Go with it, it won’t steer you wrong. Permalink: I don't speak nerd.